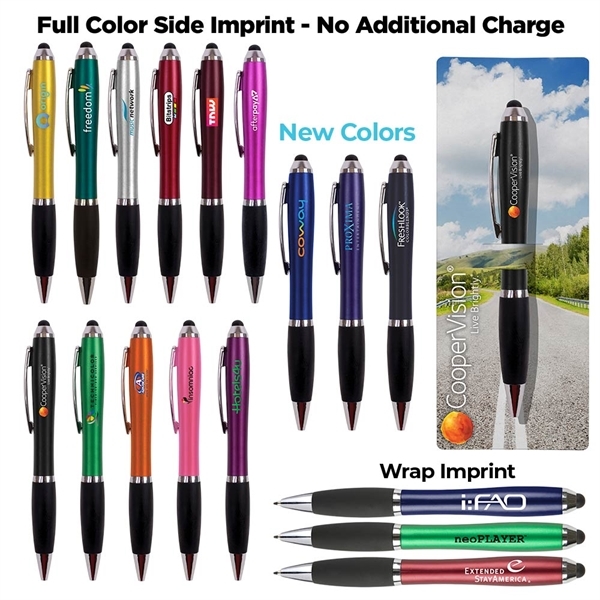 Rush Service : 1 business days - Dual purpose plastic twist action pen featuring a soft colored stylus orb. Swag Book does not include product. Royal Blue and Navy Blue was our original Blue.